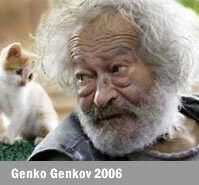 © 2006-2008 Genko Genkov Foundation. All rights reserved. The web site contain paintings of Bulgarian artist Genko Genkov.